Content delivery is the soul for most business, as this is the only way they can get the brand information to the masses. Why content delivery networks? The answer is simple, they make you site speed up and increases engagement with your content. Not only do CDN’s help with speed, but you will enjoy the ability to save your sites bandwidth because the site is mostly charged on its bandwidth usage. With all these pecks on savings, you can use this time to optimize your content delivery strategy. Will it be necessary to always have CDN “On” and if it affects your success? If you success is being hindered, determine if you want an active or passive failover strategy? Images carry the most weight when it comes to your website. The average site webpage with images is close to 2.5 MB, this is more than doubled what they weighed in the early 2000’s and page images dominate most of the space being consumed. As images put pressure on your site load speed, so does your CDN bandwidth. You can start optimizing your site images through compression, as this can help reduce your scripts by 50% to 80%. Making sure you use the right image format can mean better load times or a slow site. Images formats use different methods for encoding and compressing image files. JPEG and PNG are generally used with JPEG accounting for the most share on websites, approximately 40-60% of sites are dominated by it. So why is JPEG more used than other formats? Simple, JPEG creates high quality files that are small in size using lossy compression that discards data to achieve smaller sizes at the cost of quality. If you decide to use GIF or PNG image files, perform lossless compression which reduces file size without reducing image quality. You need a content delivery network system but you’re not sure if it will have an impact on your site. You will need to measure a CDN’s impact on your sites page load times and how conversions flow through. Once you’ve completed this test, this will be come much clearer. How CDN impacts your bottom line. 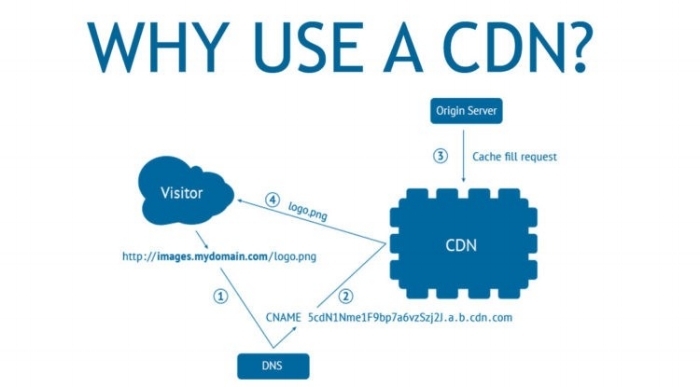 If CDN costs equates to performance benefits as patterned to your site load times. Also make sure to test CDN’s impact on reliability using one of the following test tools: Speedcurve, Loadstar, Pingdom or Load Impact. SSL certificate is a secured protocol that protects your assets against attacks. With SSL, you can leverage web performance protocols like HTTP/2 and SPDY. SSL Required. In order to use the protocol and get the speed benefits, connections must be encrypted. SSL Not Required. However – even though the IETF doesn’t require SSL for HTTP/2 to work, many popular browsers do require it. And because most Internet data is accessed through popular browsers (Chrome and Firefox), what they require matters most. Using caching headers, determines how your content is delivered and stored by your Content delivery network. HTTP headers can provide some tangible information about how your CDN is performing. It describes the resources being fetched and also gives insights into how those resources are being delivered. This is an open source desktop software application. This tool supports both SOAP and REST-based services and other protocols. HttpRequestor is a Firefox add-on for generating and storing HTTP responses and also specifies the request type and content to send. This is an online response generator that works by forwarding traffic through a custom gateway. Runscope traffic inspector lets you generate HTTP responses in 2 ways; by directing requests through a specially formatted url or by you supplying a url for the requests. Now that you have a better understanding on how content delivery networks work. How will you go about selecting the right solution for business? SpaceCDN is a Content Delivery Network re-seller, a leading provider of CDN to companies like (Verizon, Highwinds, CDNnow, AhCDN, UCDN). CDNs offered by SpaceCDN partners are suitable for both personal websites and large enterprises sites.